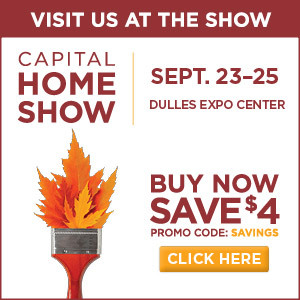 Meet Robert E. Beach Architects at the upcoming Capital Home Show September 23- September 25, 2016 at the Dulles Expo Center. Visit us in booth 1016 throughout the show. Buy your tickets online and save $4 with promo code “SAVINGS”. If you would like to learn more or have questions about how to start your project, please contact us.